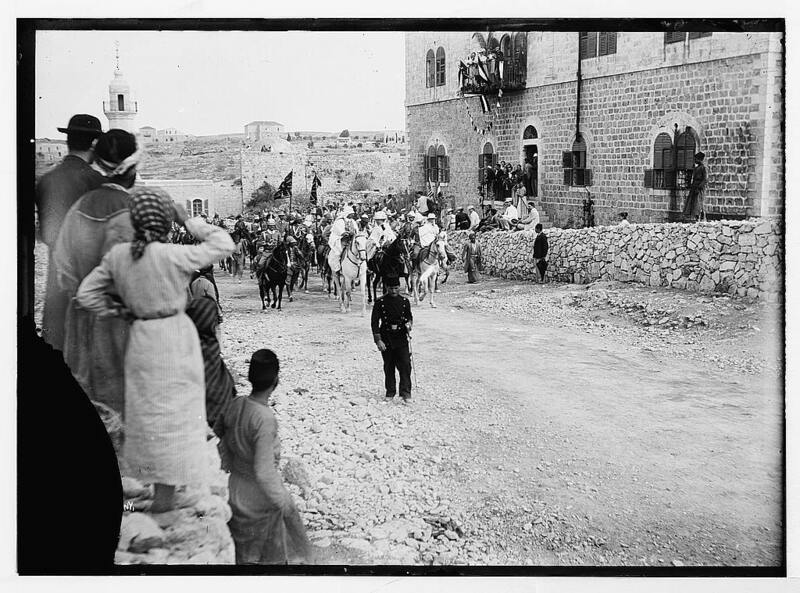 The Library of Congress archives of 19th and early 20th century photographs from the Holy Land still has more veins of treasures to be mined by Israel Daily Picture. But we would like to add two more American Colony pictures which we found in the New York Public Library archives to our previous postings. We thank the NYPL for granting permission to present them here. The first is a picture of shepherds and sheep. 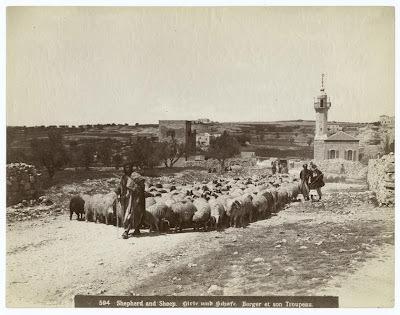 What drew our attention were the buildings and mosque, easily identified in our feature "Jerusalem's Nablus Road -- Where History Marched." 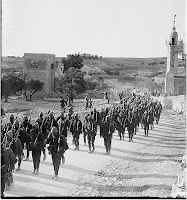 The original caption to the photograph of the soldiers notes that they were passing the American Colony residence, located on Nablus Road. ultra-Orthodox Jew's hat on the left. 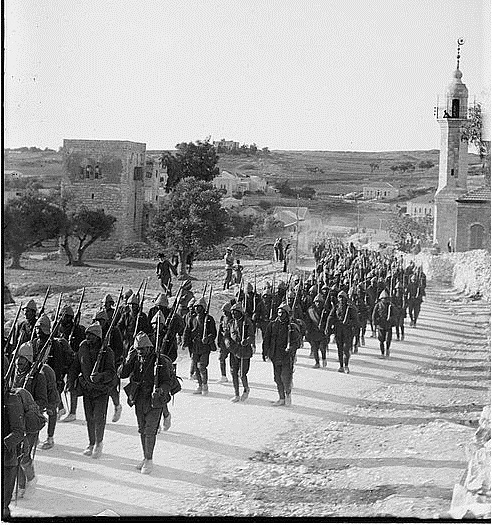 The Colony's location gave the photographers a front row seat for the arrival of the German Emperor Wilhelm II in 1898. 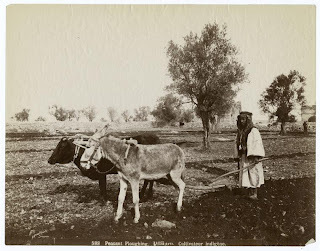 The second photo found in the New York Public Library is a picture of farming practices in Palestine over 100 years ago. 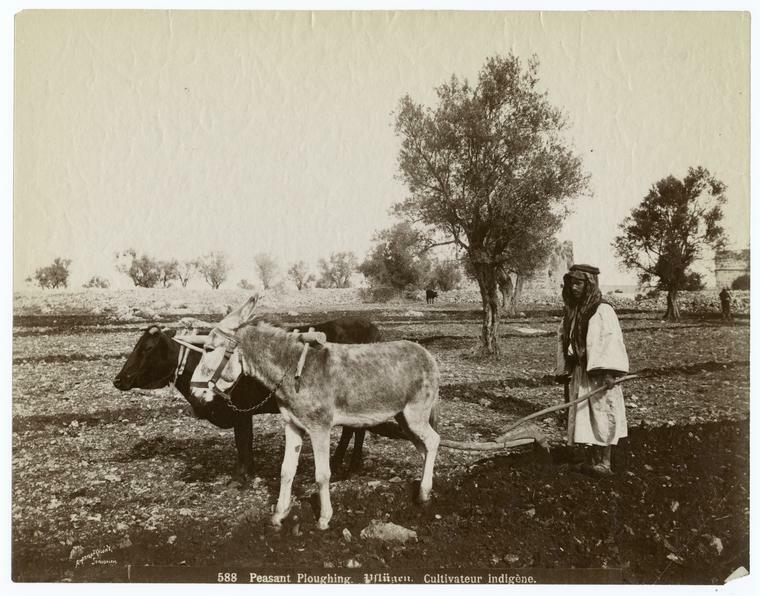 The American Colony photographers frequently shot pictures of mismatched plowing animals. We theorize that the American Colony members, who were well versed in the Old Testament, focused on agricultural prohibitions found in the Bible. They also provided pictures of the prohibition "Thou shall not muzzle an ox in its threshing"
Subscribe by entering your email address in the box in the right sidebar of the Online version -- it's free!